Cambridgeshire home improvements are never more elegant than when you choose French doors. These stunning double glazed doors create a beautiful feature in your home, flooding it with natural light and enhancing its aesthetics. Here at Art on Glass, we are proud to be installers of exceptional Liniar French doors, giving you the very best in quality and performance. You can achieve the stylish look you desire with our French doors, so take a look at our handy guide and see the many benefits and features that they offer. French doors are a great choice when it comes to versatility. Whether you are looking for an entrance to your garden to enhance your living room, dining room or office, or perhaps an opening to your balcony, be it a grand space, or a simple Juliette design, our French doors can be adapted to meet your needs. They can be constructed to open inwards or outwards, giving you options that suit the space you have in your Cambridgeshire home. The thresholds are milled too, so there are no unsightly moulded plastic end caps, simply a seamless frame to threshold jointing system. With our French doors, you can even opt for additional safety with our optional door restrictors which stop the doors being opened too far, ideal for homes with children. Art on Glass are able to offer you a range of options to tailor your French doors so that they completely complement your Cambridgeshire home. We offer a vast range of RENOLIT finishes, giving you a wealth of choice when it comes to colours and even woodgrain foils. Whether you are looking to create an eye-catching feature, or a door that blends in seamlessly with your property, we are sure to have a finish to suit you. We know that with any entrance to your home, the most important deciding factor is the security that it offers, particularly true with double glazed doors. 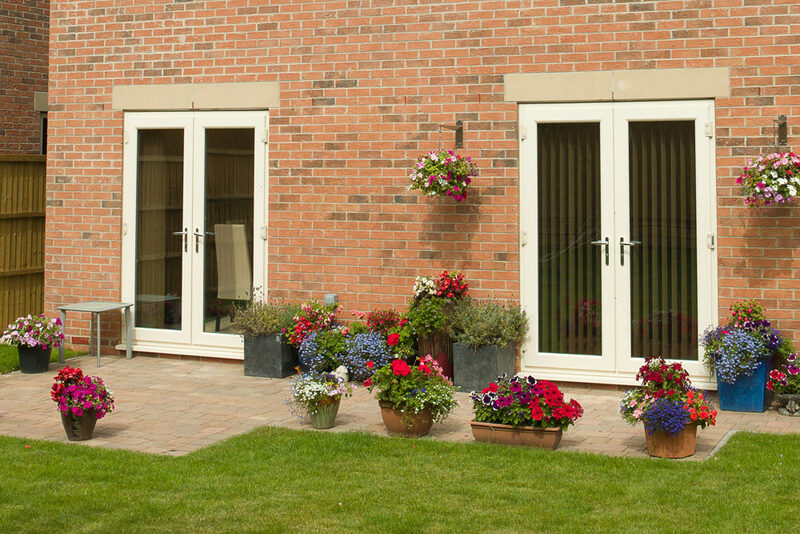 Our French doors are the ideal option for outstanding security. Each door is internally reinforced, ensuring that it is robust and strong, and also almost impossible to break into. 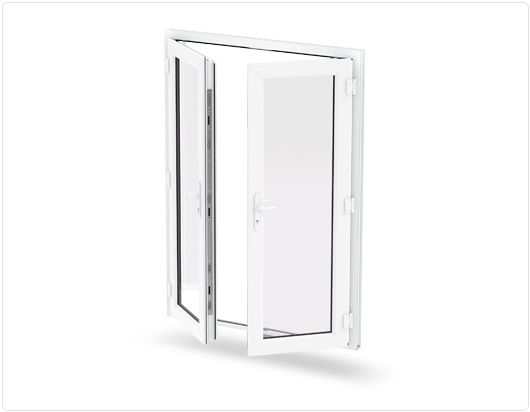 This reinforced profile means that our French doors can withstand virtually any physical attack. To provide maximum security, our French doors are then fitted with the very latest Yale multipoint locking systems. These shootbolt locks from the nation’s favourite company are exceptional, and will create a level of security that will give you complete peace of mind. With our uPVC windows and doors, you can have total confidence that your Cambridgeshire home and family are protected against unwanted intruders. Double glazing is naturally energy efficient, but when you choose French doors from Art on Glass, you are accessing Liniar innovation and quality. Liniar double glazing is renowned for its exceptional energy efficiency. Our French doors have a multi-chambered profile which works to trap air within the frame, creating a thermal barrier. This then ensures that heat loss is minimised and draughts are eliminated, keeping your home warmer for longer. Of course, as your home retains its warmth, you will need to use less heating to keep it comfortable, and as such, will save money on your energy bills – a superb cost effective feature of our French doors in Cambridgeshire. One of the benefits of choosing Art on Glass as your double glazing installer, aside from the quality of our products and our expert installation, is that our French doors come with a 10-year manufacturer’s guarantee. Your new home improvements will never warp, rot or fade, and they are guaranteed to last. Our French doors are of such incredible quality, and we are so confident in their performance, you can count on long term operation. All this, and they need very little maintenance too. All you will ever need to do to keep your French doors in perfect condition and operating at optimum levels, is give them the occasional clean. Cambridgeshire home improvements can be stress-free and efficient when you choose Art on Glass for your French doors. We would love to answer any questions you may have and to provide you with our competitive French door prices, so please do get in touch and speak to our friendly and knowledgeable team. 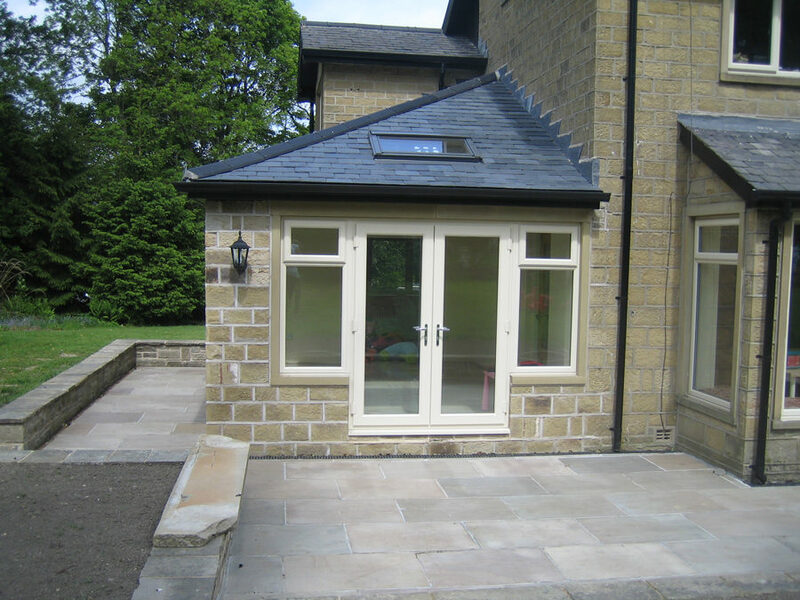 If you want an instant quote, we also have an online door designer, where you can create your ideal French doors and see how much they cost simply and efficiently. Try it now!